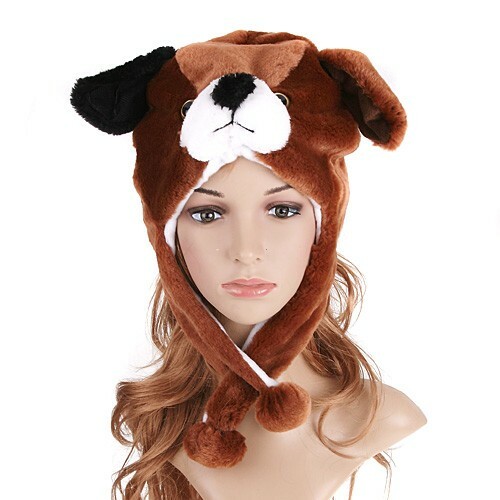 Animal Hats : Cute Dog Hat & Earmuffs - Flashy Bits - for flashing gifts and novelties and for fundraising and events. If you’re looking for things that twinkle or flash, glitter or glow, then Flashy Bits is for you. Description Warm, cozy and cute. Can you possibly make it through Winter without one of these brand new hats? A menagerie of styles to choose from with or without attached mittens. Warm hands, warm ears, warm head & warm heart, what more could you ask for. Buy 1 or buy the entire zooful.